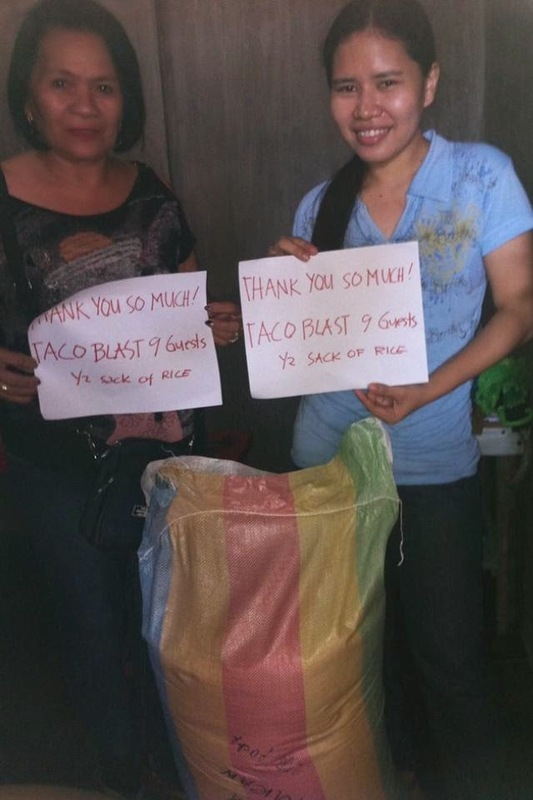 Midori Samson: Taco Blast goes international! 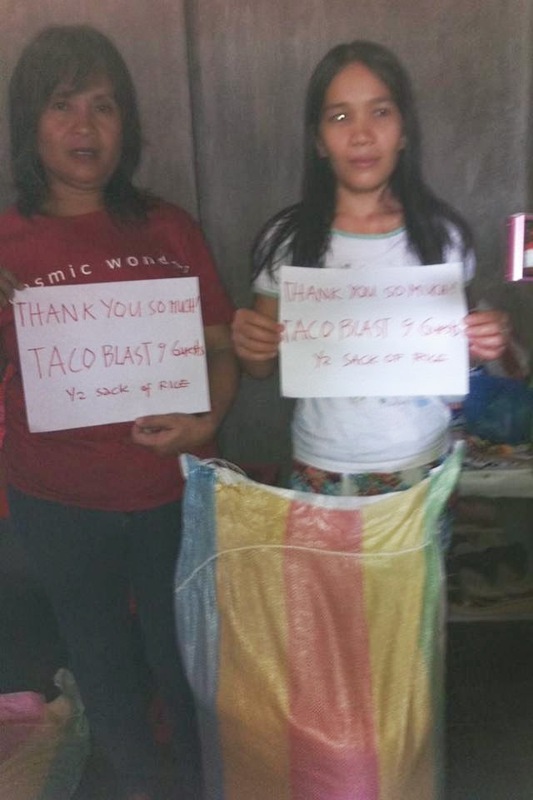 I just found out that the $100 we raised for Typhoon Haiyan relief at Taco Blast (Tacos for a Cause, see previous post) was used by JDR Mission Partners to purchase four 50lb. bags of rice. The rice, an extremely important staple food in the Philippines, was given to four different families in Tacloban yesterday, on Easter.